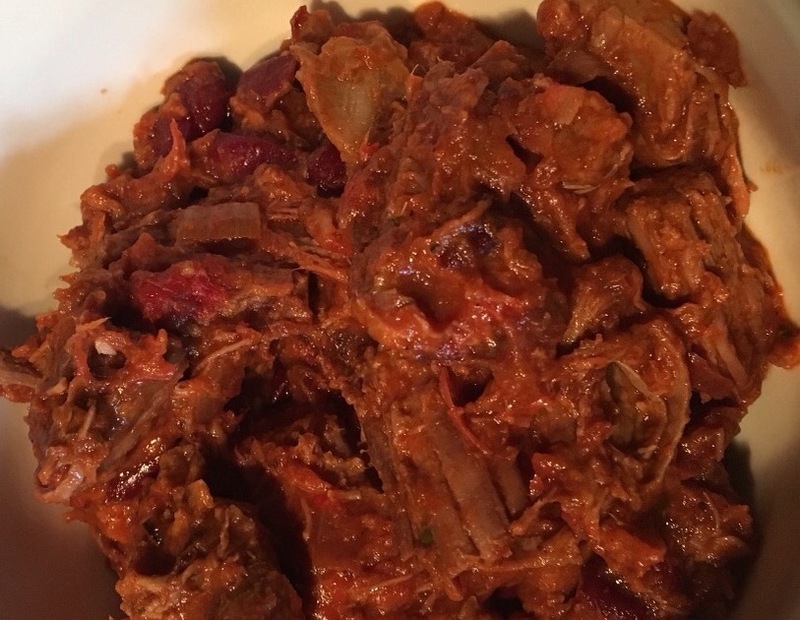 So with an ambundance of brisket left, and not fancying eating it forever I decided to make chilli con carne with it. After browning off the onions in some olive oil, I then added the chopped chilli and garlic. After a minute I chucked in all the spices, added the kidney beans and all the tomato bits (purée, passata and tinned) and the water. To this I threw in the roughly chopped brisket pieces. I didn’t worry about cutting too evenly/small as I am hoping it will all break down in the pan. Ive then turned the pan down to a low heat and letting it simmer for a good hour, stirring whenever I remember to go in the kitchen (between watching Bing bunny, iggle piggle and getting the girls ready for bed). My aim is to make sure that the meat is hot enough to ensure that it’s thoroughly cooked through but not to keep cooking it too much (I have hubby’s trusty thermometer to check – not that he knows!). After a good hour, all the meat had started to break down, to help it a little I got two forks and shredded some of the larger pieces. Adjust the spices above as needed and voila! All done! 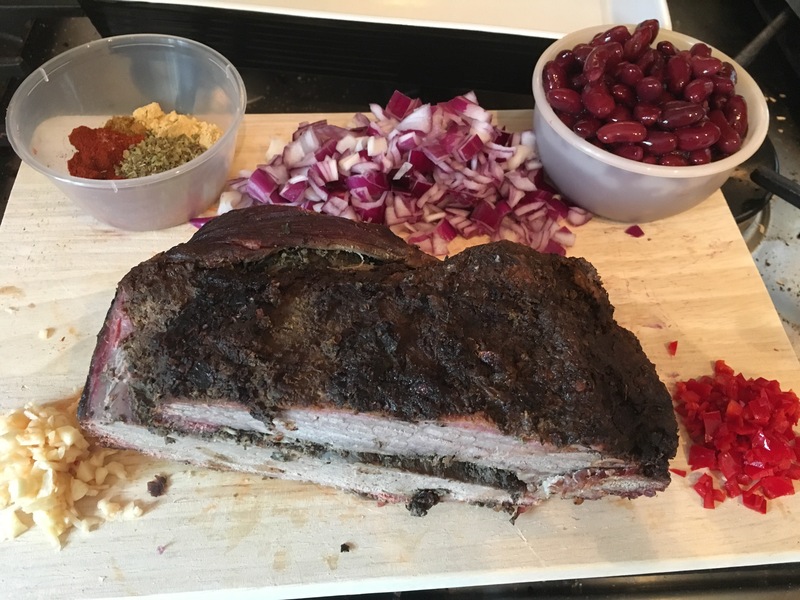 By all means use mince or beef chunks instead if you don’t have left overs, however I think that the smoked brisket in Cattle Dust rub has added loads of flavour into the chilli. Let me know your thoughts below.